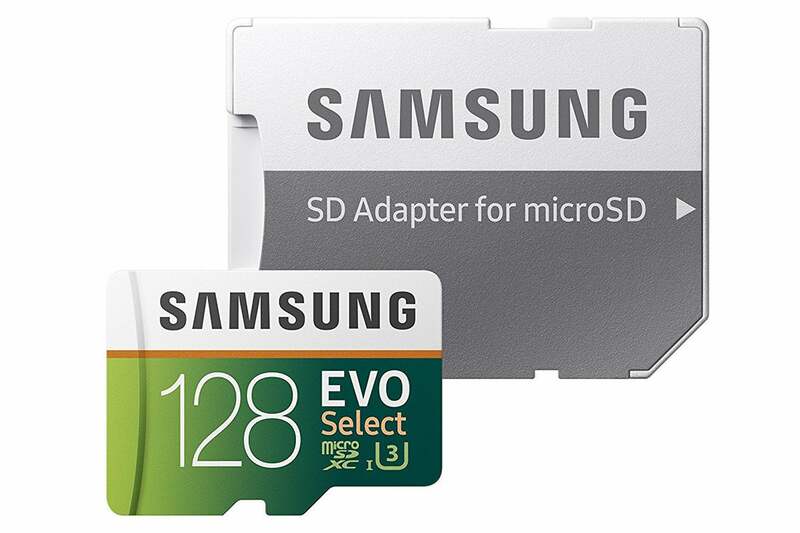 Double or triple your phone's storage with a 64GB MicroSDXC EVO Select memory card for $18 or a 128GB card for $35. If there's one thing nearly all Android phones have in common, it's that they can always use more space. Today you can add some extra gigabytes to your phone for cheap with all-time lows on Samsung MicroSDs at Amazon. The 64GB MicroSDXC EVO Select memory card is $18Remove non-product link, down from a list price of $23, and the 128GB MicroSD EVO Select memory card is $35Remove non-product link, down from a list price of $42. Both of these memory cards are fast, with read speeds up to 100MB/s and write speeds up to 90MB/s. A durable design is built to protect all your saved data against water damage and extreme temperatures—in fact, they're both certified IPX7 for water resistance and are protected against damage from X-rays and magnetic fields. In addition, they come with SD adapters so they'll be compatible with most SD and microSD devices. While we haven't reviewed these SD cards ourselves, we use them regularly in our Android phones and can attest to their stellar 4.6 stars out of 5 across nearly 8,500 Amazon user reviews. And with a deal like this, we highly recommend picking one up.